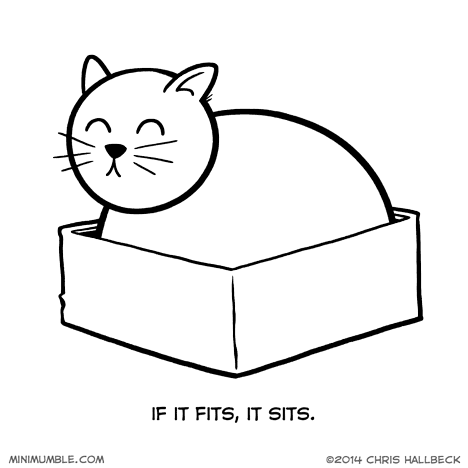 If it doesn’t fit, I will sit anyway. Regardless of how ridiculous you think I look. If you turn it upside down, it becomes a bunker. If it’s a cat, no telling where it sat.